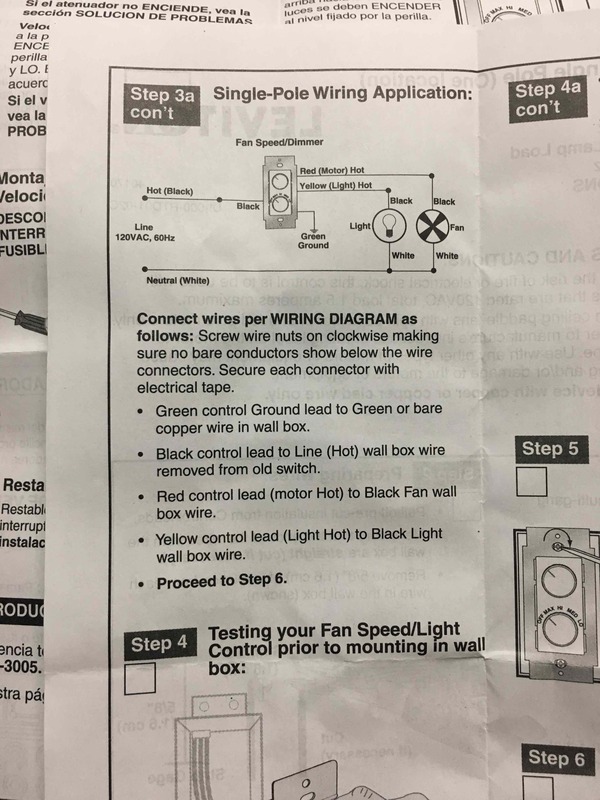 Is there a way that I can properly wire this switch or do I need to return it and buy a different type? If I need to get a different one, what should I look for? Everywhere in the world, green, green/yellow or bare colors are reserved for ground. The only exceptions are the former Soviet Bloc, and they now have harmonized to this rule too. So that is as simple as that. Grounds are never used to flow current normally, and only come up in fault conditions when it is time to save your bacon. So from a logical, "how does this circuit work perspective, they are disregarded. I never show them in diagrams, but they are always there. Your old controller controlled the fan and light separately, so it plainly had 3 wires because that is the bare minimum needed to do that. Your new one has 3 wires (from a functional perspective). Therefore, this is easy. Go to it! 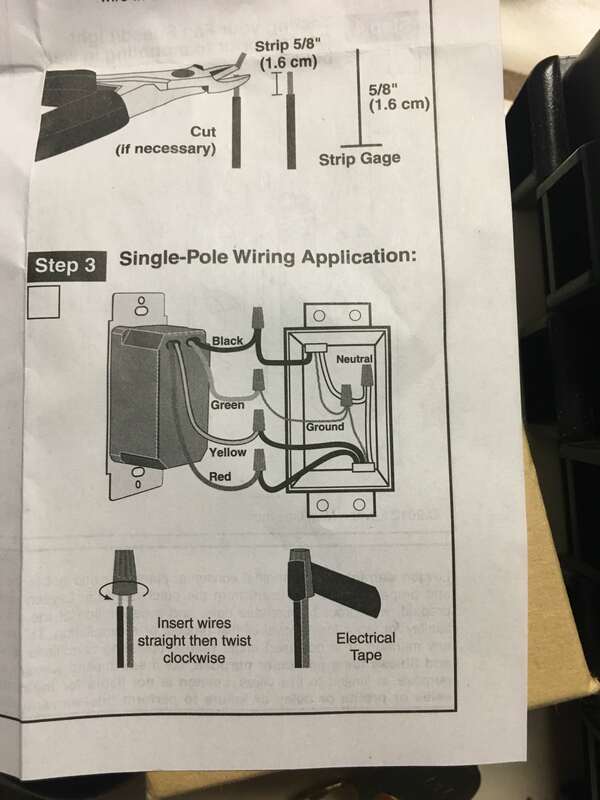 If you are unclear which cable is supply, most likely if one cable is 2-wire (black/white) and the other cable is 3-wire (red too) then the 3-wire must necessarily be the one going to the fan, and the 2-wire goes to supply. Not the answer you're looking for? Browse other questions tagged electrical switch light fans or ask your own question. 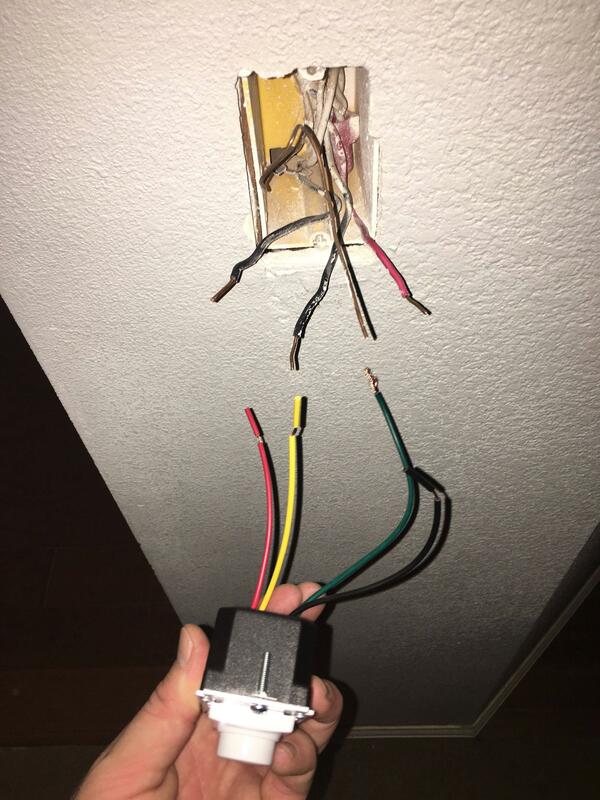 How do I replace a dimmer switch with a single switch?